+ I am unable to log in to my account, what can I do? + I am unable to access the mock tests. What should I do? Check the validity of your mock tests. The tests would not open if the validity has expired.Check if your one attempt is over. If so, you won't be able to access it. + I have forgotten my password, what should I do now? You can go to forgot password and provide your registered e-mail id there. You will get a link in e-mail. You can go to the link and reset your password. + Can I change my password? Yes. If you are already logged in, then you can go to settings and change your password. If you have forgotten your password, you can go to forgot password and enter your e-mail id. You will receive a link via which you can change your password. + I have entered wrong email id on signup. Can I reset it? You can e-mail the Customer Support on support@ptetutorials.com and your problem will be resolved by the team. + What If I forgot both, my email id and password? + How can I check result of my previous attempts or all attempts? You can check results of all the tests attempts in the 'Taken Test Result' section. + How many attempts are there in total for each test? Any test can be attempted only once. + Who has created these mock tests? 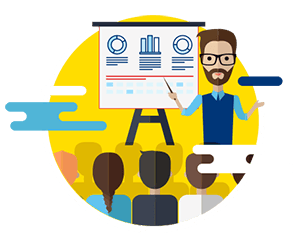 Certified PTE-A trainers have developed these mock tests keeping in mind all the standards of official Pearson Test of English Academic examination. All the content (texts, trademarks, illustrations, photos, graphics, files, designs, arrangements etc.) & media of the tests are a copyrighted and owned by Aussizz Group. All intellectual property rights in relation to this website are reserved and owned by Aussizz Group. + Are these mock tests autoscored one? or Are the scoring provided? The mock tests are not autoscored. However, we do provide the scoring. You can get score for a particular test at a nominal price. The option is available in the portal inside after you log in. Our PTE expert will evaluate your test and score it as per the PTE test standards. The scores will be emailed to you within 5 working day. Note that the scoring is not exact but near to real PTE test. + Can I use these mock tests to get high score? 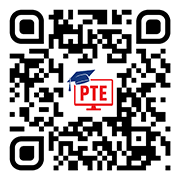 These mock tests are close to real-time PTE-Academic environment and will provide you with hands on training on taking the PTE test online. Consequently, it will boost your confidence which will help you to get more score. However, it depends on you, your practice and understanding of PTE - Test. + Who will be evaluating these tests? The scoring is not automatic for the mock test. But, you can get the scores of a particular mock test by buying the service at a nominal price from the portal itself. The scoring is done by our PTE experts which is close to real PTE test. + Are these mock tests similar to actual exam? These are practice tests. We have simulated the real-time PTE-A test environment to keep the test experience as real as possible for you. + What are the possibilities to get same questions in actual exam? 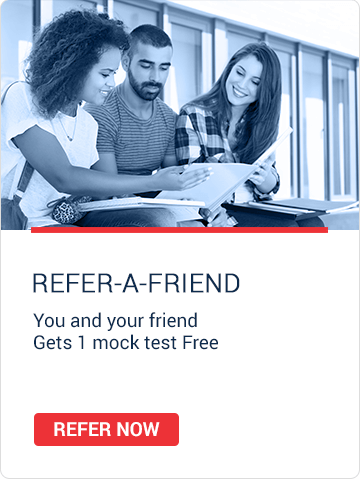 The entire intellectual content from the format to context to types of individual questions in the mock tests are uniquely designed in accordance to the PTE-A standards and there are negligible chances of the same questions appearing in your official PTE-A exam. + What are the video tutorials? The videos are regarding the detailed explanation of each PTE-A Test module and type of questions. There are essentials of each module. You can know what are the things to be taken care of, how you can attempt particular questions in particular sections. 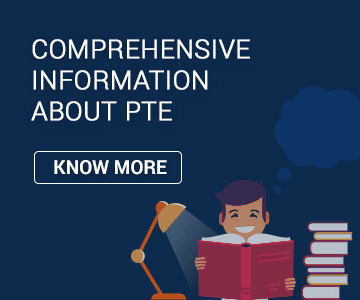 We advise you to definitely go through them as it will help you a lot in knowing what PTE exam is and the structure of it as well as how to deal each and every questions; specially before taking exam. + What if I want to give a feedback? All the feedbacks are welcomed. You can share your experience or any suggestions that you have for us for the tutorial; overall as well as regarding any section or question. There are no technical difficulties as such. However, in case you want to share any technical difficulties you faced, you can do that as well. + How to contact Customer Support? Please drop a mail on support@ptetutorials.com . Our team will reply you within 48 hours. + How to utilize evaluation function? How do you provide evaluation? 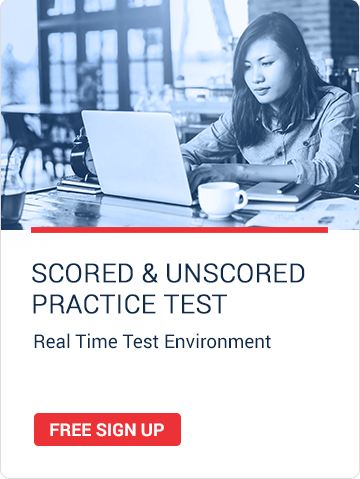 Using the evaluation function you can get the score of your practice test and we provide you the Score Card similar to the original PTE-A Test. We recommend that you give a test without any practice first and get it evaluated. Then you can keep practicing the test and apply for evaluation. This will help you check your improvements. + Where can I see the Evaluations that I purchased? If you purchase evaluation separately, when you log in to your account, evaluation count will be shown at the top right corner of the portal. Once you complete a test,"APPLY FOR EVALUATION" option will get enabled and you can use one evaluation from your balance of purchased evaluations for that specific test. If you purchase evaluation along with the test (Scored test), evaluation option will be set to the respective test by default. + What If My Unused Practice tests got expired? You can extend the validity of your test by yourself. Extending a test's expiry date is a paid service. You will get an option to extend the Test's expiry date for which you will have to pay a minimum amount. + What is Paid materials and how will I get it after payment? 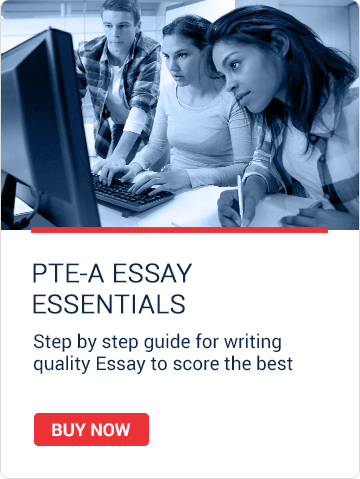 Paid material includes guides to Essay Writing and Describe Image to help you score more in the PTE-A Test. Those are e-books in PDF form. Once you purchase this material, you will get an Email to download the PDF. + What is Analyse Your Score? + What are the validity of these mock tests? The minimum validity for the mock tests is 60 days. + Do I get any sample answers for a particular question? Yes. Once you have submitted the answers, you can go to the result section and you will be able to see the sample answers and understand better about answering a question. The question does change automatically but if you are sure with your given answer then you can click on the next button to move to the next question. This will also help you save time. + How do I get to know if my answer is correct or not? You can check the sample answer in the Result tab. + How can I check that I am improving in mock test section wise? There is 'Test Analytics' provided for each mock test. It will give you a fair understanding of your performance based on your time and also how you are improving overall section-wise as well as in individual sections. You can check it after submitting the test. + Can I go to previous question during the test? No, the mock tests is so designed as the actual PTE test where you will not have the option of going back to the previous question. + If I have done any section and left it in between, will that be considered as a completed test? No. Unless you are submitting the test by clicking on the Submit Button, it would not be considered as a completed test. You can resume the test from where you had left. + What is Support button? 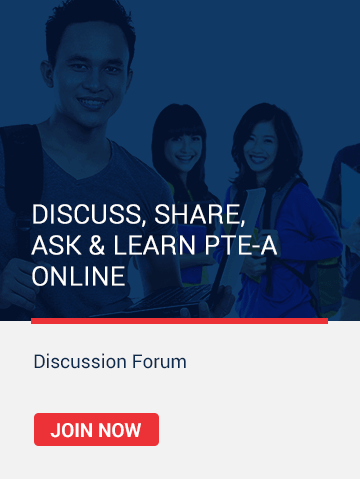 If you have any query or feedback regarding particular questions or sections of the PTE test, you can share it with us and we can try to resolve it in best possible manner. Also, you are welcomed to share suggestions. You can even share your overall experience of the mock test, good or bad. In 99% of cases there would not be any technical errors; still in case you want to share any technical difficulties you faced, you can do that as well. + Can I skip the question if I am not able to answer? Yes, if you don't know the answer to the question you can surely skip it and focus on the next question. + What to do if during the test I am not able to read the fonts of the question? To increase or decrease the font size there will be "+/-" button in the top right corner of running test. You can adjust the font size as per your convenience. + What is the basic PC requirements for your online mock test? It is important that you check the headphone connections carefully. Supported Browser: Latest version of Chrome, Firefox, IE, IE Edge We need latest version of Flash Player in your browser. Supported Hardware: Headset with Microphone for Desktop or Enable Speaker in Laptop for better visibility and navigation take the test on laptop or desktop. + Can I download these tests on my computer? The tests are cloud-based and hence, can be accessed online only. You cannot download them. + Do I have to download any software to use these mock test? No, there is no requirement of additional software to be downloaded unless you have adobe flash player. It is an online portal. + Can two people surf the same account? The same account cannot be accessed simultaneously. One credential can be used by only one person at one time. The latest login can continue the test. + After starting tests, nothing happens when I click on the Continue button. What should I do? Do you have Adobe Flash Player? If not please install using below link in same browser. Then restart browser and try it. + What if I was taking the tests but had to quit in between, Can I re-take the test? Yes. You can Save and Exit the test and later on resume it any time. + I am unable to access the submit button. Submit button is only visible at the end of the test. You can only save and exit in between the test but cannot submit the test. + There is an error while loading the speaking test, what should I do? Properly connect microphone to your computer. Install or update microphone driver in your computer. Install latest version of flash player in your browser. + What if I am not able to hear the audio? Check the attached head phones or speaker connection. Check sound drivers of the system. Check latest version of flash player is installed or not. Even after this, if you are unable to hear the feedback, you can send us the feedback or call customer support; you will be assisted further. + What do I do if my audio is not recording? We suggest you check your computer's audio settings. You can go to the 'test setting'button to check if the settings of audio on your computer match with these ones. If it shows no issues, we suggest you check your microphone settings. If there is an error message pops regarding the audio during the practice test, please take a screenshot of the same and email it to support@ptetutorials.com with the name and registered email address for tutorial account. + How secured is your website? Will it keep privacy of my exams? It is 100% secured. Our website is SSL certified and hence, you can be assured of your privacy. + How to check if my Internet speed is good enough for the Practice Test to run without any issues? You can start with the "Sample Questions" and check if the internet speed and your system specifications are supporting the portal. + Are these tests supported on Apple devices? Yes, these tests work on Apple laptop and desktop but not on iPhone or iPad.